This list gives the current status of all steam engines in Turkey. The purpose is to list preserved and plinthed engine. Preserved indicates there is currently an intend to keep this loco in running condition. Plinthed indicates that the loco is kept as a monument, in good external condition. Dumped indicates that the loco is not used nor maintained. Many of these loco are expected to be scrapped and should exit the list at some point. Most but not all dumped engines are listed. 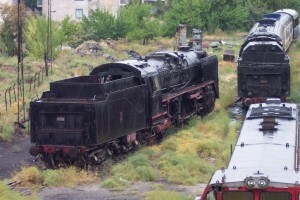 Locos already in scrap yard or partly dismantled are omitted. Whenever possible, the data are confirmed by direct observation. Feel free to send us your own observation if they appear to be more recent than the ones listed below. 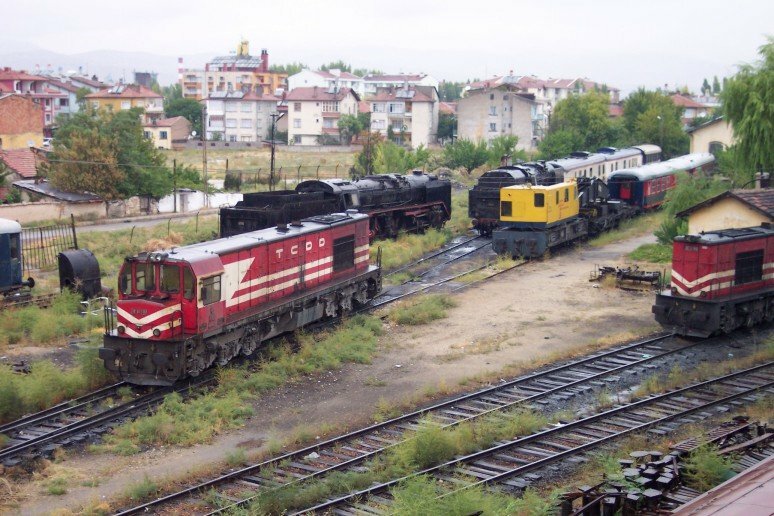 All the locos presently in Railway Museums in Turkey are also listed here. Besides Camlik and Ankara museum, there are several spot were large quantity of steam engines are still present. 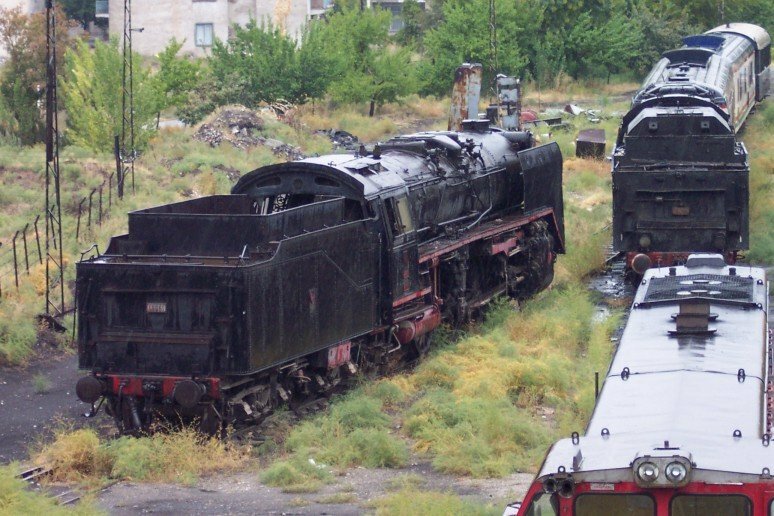 Uşak is the most well known and has currently 2 steam-able engines kept under cover and 17 locos in various condition. There are often rumours that Uşak will become some kind of live steam museum. The next two spots are Alaşehir (13 locs) and Yeşilkavak (5 locs) located in same area as Uşak and could be considered as annex to Uşak. On the left: 46061. On the track in the middle: 56009. Konya depot, October 2005.